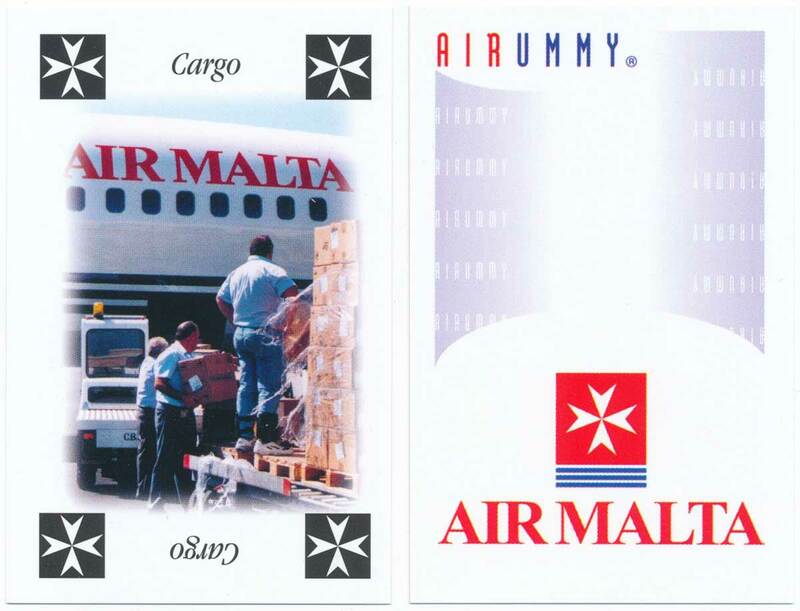 Above: ‘Air Rummy’ playing cards published by Air Malta, late 1990s. 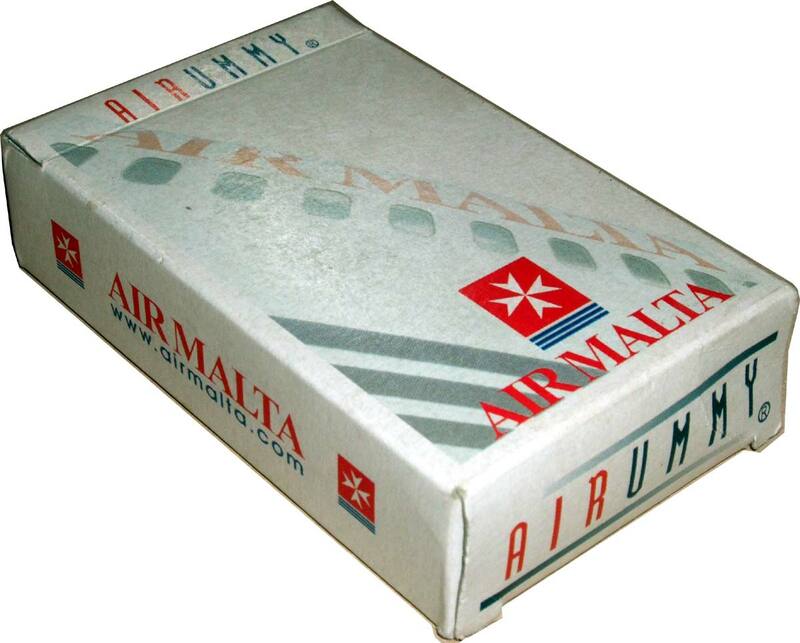 The cards are cheaply made with square cut corners, suggesting local manufacture rather than foreign. 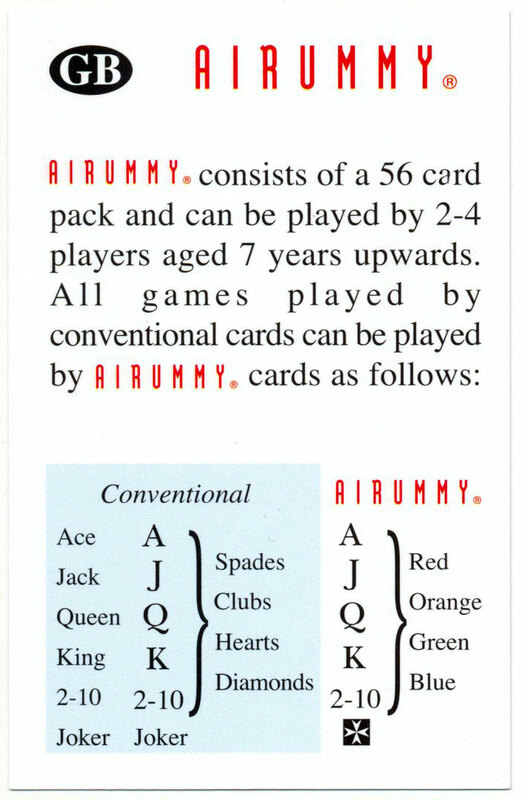 Four Jokers and four “rules” cards are included, carrying rules for ‘Air Rummy’ in English, German, French and Italian. Images courtesy Matt Probert.